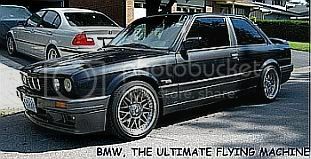 Its pointless posting something about Fil and Eurostyle, EVERYONE knows this guy is the best within the BMW community. Fil is such an honest, efficient and superb guy to deal with. Forget words and praising this guy, just look at his achievement within the short space of time he got into this and where he is today. Fil, like a brother, I am happy to see you succeed to this height, I wish you continued success Bro and thanks for all the great service you have given us. We look forward being a continued loyal customer of yours.